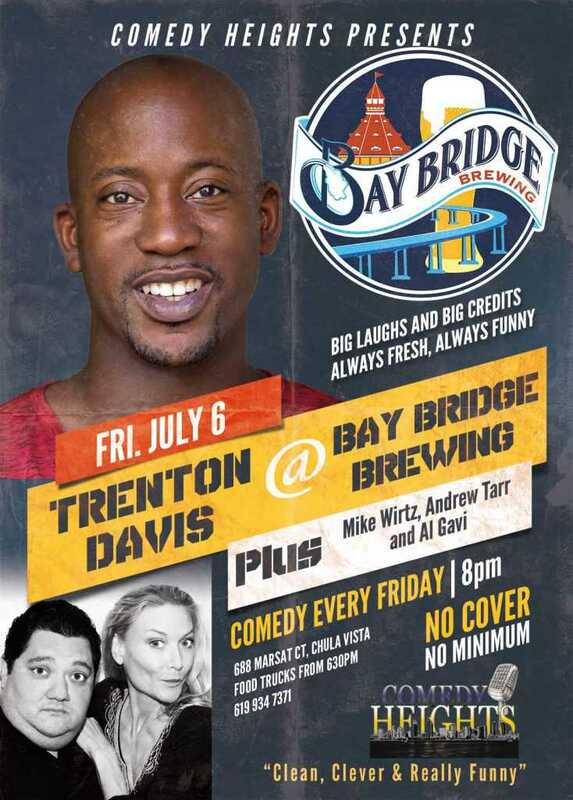 July 6th at Bay Bridge Brewing! Trenton Davis! This Friday, 8PM at Bay Bridge Brewing! The best little brewery in Chula Vista brings you Trenton Davis! 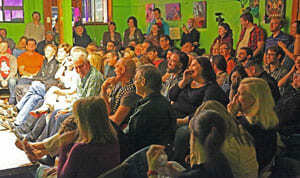 He’s lived in three famous comedy cities, and was the San Francisco International Comedy Competition runner up for 2016. He was also a finalist in the prestigious NBC Standup for Diversity program.. Pair that with unique food trucks and brews and you’re in for a great night at Bay Bridge Brewing! We’ll have him up alongside Mike Wirtz, Andrew Tarr and Al Gavi! Next story July 12-14th Week on Comedy Heights! Previous story Thursday July 5th at Valentin’s Bar and Grill! Trenton Davis!